In 1851, he represented the Alton & Sangamon Railroad in a dispute with one of its shareholders, James A. Barret. Barret had refused to pay the balance on his pledge to that corporation on the grounds that it had changed its originally planned route. Lincoln argued that as a matter of law a corporation is not bound by its original charter when that charter can be amended in the public interest, that the newer proposed Alton & Sangamon route was superior and less expensive, and that accordingly the corporation had a right to sue Mr. Barret for his delinquent payment. He won this case, and the decision by the Illinois Supreme Court was eventually cited by several other courts throughout the United States. Also, Sprague was far from insignificant. 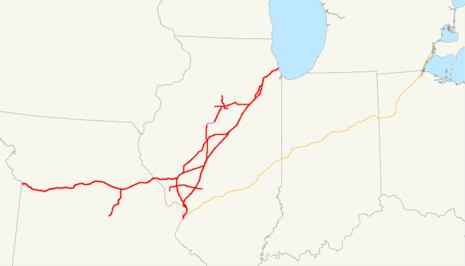 At the December 1851 term of the supreme court, Lincoln had won an important case, Barret v. Alton and Sangamon Railroad, involving the predecessor to the St. Louis, Alton, and Chicago Railroad.46Barret had established [End Page 13] an important precedent that benefited Illinois railroads' corporate management. The essential question won in Barret, that only profound alterations in a railroad company's charter, such as constructing a canal instead of a railroad, would permit stock-subscribers to void their purchase contracts, served as the main point in Sprague. That Charles Sprague retained Lincoln to challenge the Barret case suggests Lincoln's growing professional status. Sprague appeared to be a "winnable" case to Lincoln, and in the firm's best interests, Lincoln argued Sprague and Herndon, who had argued the Dalby case in the Logan County Circuit Court, continued with its appeal before the Illinois Supreme Court. Incidentally, Lincoln was unable to beat the Barret precedent and lost the Sprague case.